The anticipation for the eight season of Game of Thrones is touching skies. The people across the quarters cannot hold back their excitement and a whirlpool of buzz has been created on the social media cloud. From multiple fan theories to the excruciating suspense, the show has its zillions of fans wrapped around it. However, this is a two-way street, and as much as the fans are rooting for the show, the cast members are also putting in everything for it to be a successful one. And we say this because according to the reports, it took a toll on the star of the show Emilia Clarke while filming the last few episodes. Game of Thrones Season 8: Jon Snow, Daenerys Targaryen and Cersei Lannister to Die? Peter Dinklage's Instagram Post is Causing Fans to Believe So! In a conversation with The New Yorker, Emilia revealed that after the success of the first season of GOT, the health scares began and she survived two life-threatening aneurysms. “Just when all my childhood dreams seemed to have come true, I nearly lost my mind and then my life. 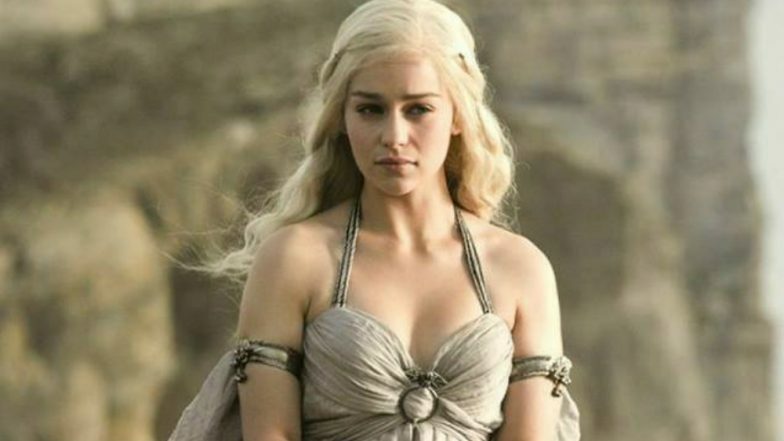 I've never told this story publicly, but now it's time” the Mother of Dragons admitted. Emilia added, “I was terrified. Terrified of the attention, terrified of a business I barely understood, terrified of trying to make good on the faith that the creators of Thrones had put in me. I felt, in every way, exposed.” The actor also confirmed that it all started with Game of Throne, because prior to it, she was a healthy person. She said, “Sometimes I got a little light-headed, because I often had low blood pressure and a low heart rate. Once in a while, I'd get dizzy and pass out.” “When I was fourteen, I had a migraine that kept me in bed for a couple of days, and in drama school I'd collapse once in a while. But it all seemed manageable, part of the stress of being an actor and of life in general. Now I think that I might have been experiencing warning signs of what was to come,” talked Emilia. Game Of Thrones Season 8: Longest Episode of the Series Will Premiere On the Opening Weekend Of Avengers: Endgame. Well, all we hope is for the Targaryen queen to be perfectly fit and battle-ready for the show and in real life alike. The final battle is yet to begin and we cannot afford the Mother of Dragons to be weak, as many stories will be unfurled soon.